Whether you’re looking for a Charlottesville or Staunton Hyundai dealership, choose Harrisonburg Hyundai. We’re conveniently located on the southern edge of Harrisonburg, making it easy to access from anywhere in northern Virginia. From Staunton and Charlottesville, just head north on I-81 and you’ll find us only a half an hour away. Take exit 243 for US-11 north. We’re less than a mile off the highway on the left, across the street from E & M. Visit our hours and directions page for more information on how to make us your new Hyundai dealership. 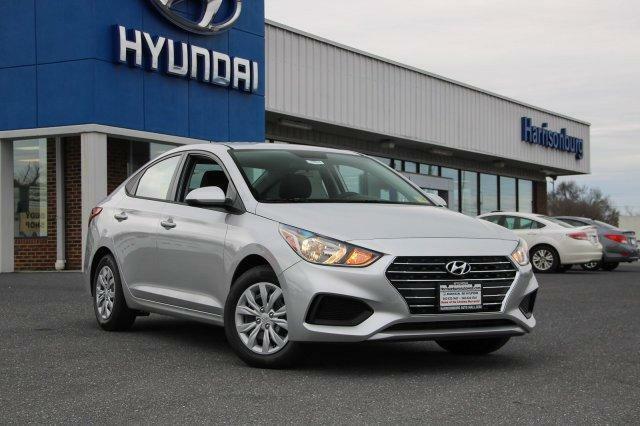 At Harrisonburg Hyundai, your trusted Virginia car dealership, we always carry the hottest new vehicles at competitive prices. The new Accent is available and we have a full selection at our dealership. The Accent changes the idea of what a sub-compact car should be. With its Gasoline Direct Injection engine, the Accent is sure to please on the highway. We know you’ll be impressed by the Accent’s safety features, stylish exterior, and advanced technology.